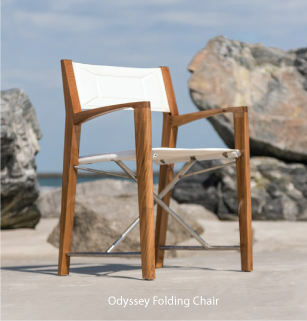 All of our covers are custom fit for our Teak Furniture in 3 different brands listed. They are also manufactured to be breathable - they are unique, technologically advanced fabrics that are inherently water resistant AND truly breathable. Koveroos lll - Maintaining all of the great features of Dupont Tyvek, Koverroos® III offers better durability, good for slightly harsher or windier climates. Slightly thicker, but still lightweight and easy to put on and remove, these covers have a soft inner layer that is gentle on your furniture's finish. Available in an attractive taupe color. SupraRoos - SupraRoos™ is designed to perform under the toughest of conditions. SupraRoos uses Dupont two-layer technology that is twice as strong as regular Tyvek and provides superior protection against high wind and inclement weather. The outer layer provides great UV-resistantance while the inner layer adds strength and resistance to sharp edges and corners making the fabric extra tough. 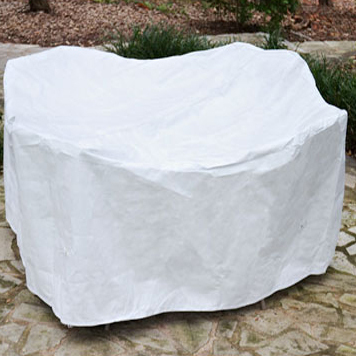 If you need to protect your outdoor furniture for long periods of rain, strong winds, or snow, SupraRoos will best meet your needs. Available in white. Weathermax - For the truly discerning customer, WeatherMax™ offers the perfect blend of function and form. This patented fabric was developed out of the need for a fabric that would retain its color and strength in severe outdoor exposure yet still provide a beautiful, rich appearance. It is extremely breathable and durable and comes in a range of alluring colors for those who do not compromise on style. WeatherMax is now available to cover your outdoor furniture exclusively at KoverRoos. 26.5"W x 36"D x 38"H ; AH = 22.5" ; SH = 15"
The time is now 10:17 PM EST!